Is this the cheapest roast lunch in The Redlands? Did you grow up in a house where the hot Sunday lunch was not negotiable? Although I did, it has been many years since I adopted a more flexible approach to meals in my own household, a flexibility which encompasses salads and sandwiches on a D I Y basis. It is simply too hot or I am too weary.....or possibly too lazy. In all honesty is there a worse chore than cleaning the oven? When I visited my daughter, the student, in the UK several years ago I think I regained an appreciation for a hearty roast lunch. All that walking for hours along cobblestone pathways on cold, misty mornings made me feel like I earned the reward of refuelling with a good feed in a warm pub so that we could continue our ramblings for another ten kilometres or so in the afternoon. I recently came across another great roast lunch much closer to home. 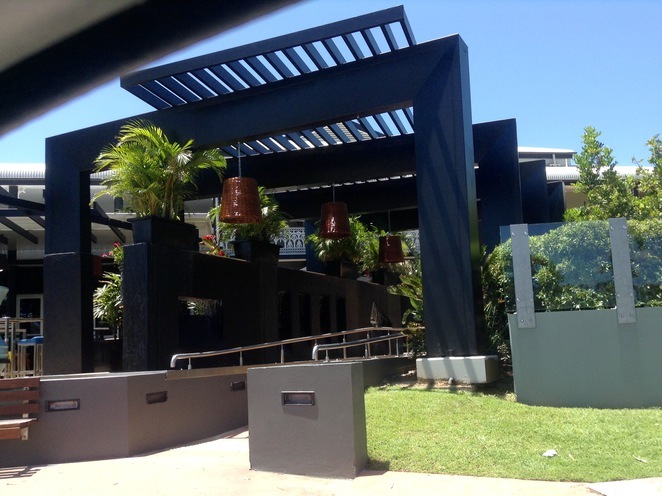 The Alexandra Hills Hotel, affectionately known as The Alex by locals, sits on the outer edge of Alexandra Hills, bounded by Cleveland and Wellington Point, both suburbs that nestle up to the beautiful Moreton Bay. 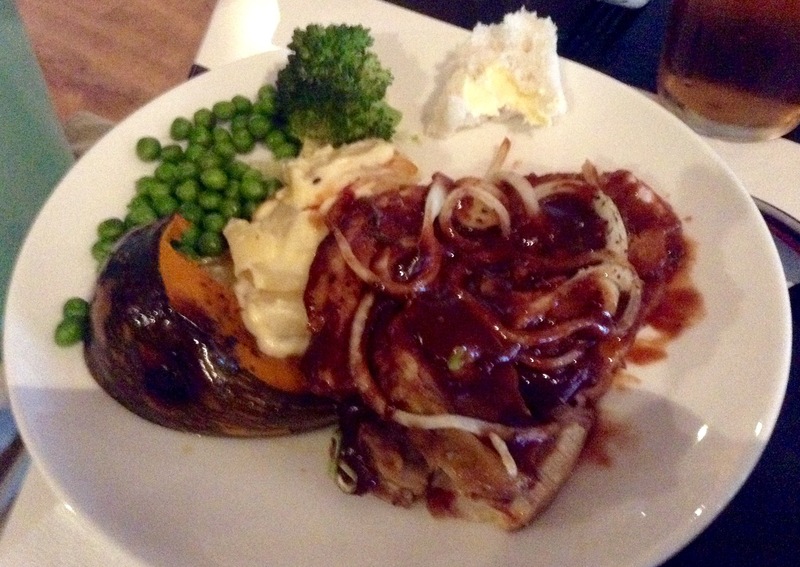 The $9.95 Roast of the day, available from the main bar, includes the purchase of your soft drink, beer or glass of wine. How good is this? The Roast is served Monday through to Sunday from noon till 2pm in the main bar and attracts all types, from business people, tradesmen, families, and pensioners. Worried about the condition of the bar? Don't be. 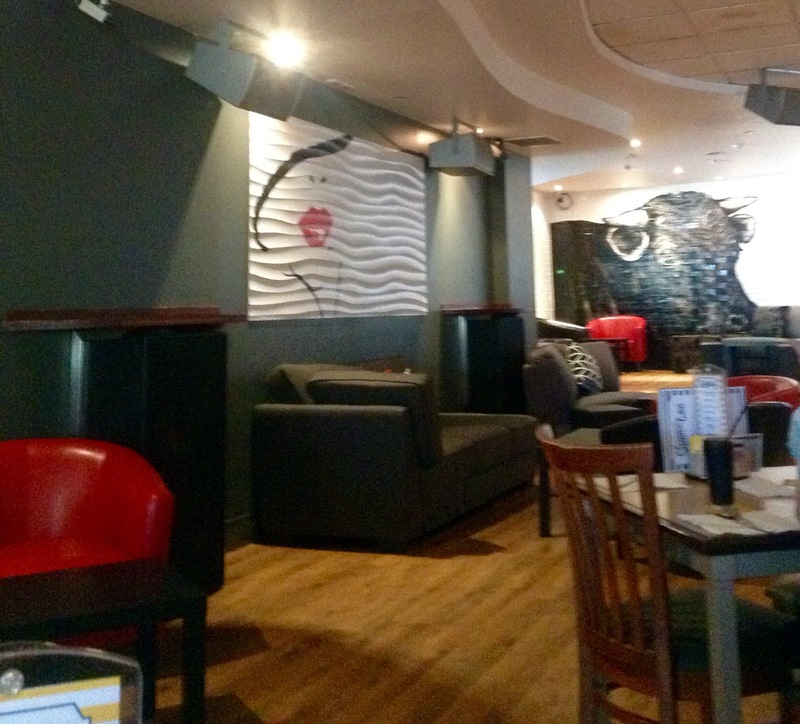 The Alex, part of The McGuires chain of hotels, has been undergoing a massive transformation over the past months with the addition of a conference area and accompanying accommodation. The bar is clean and tidy with a touch of funky. 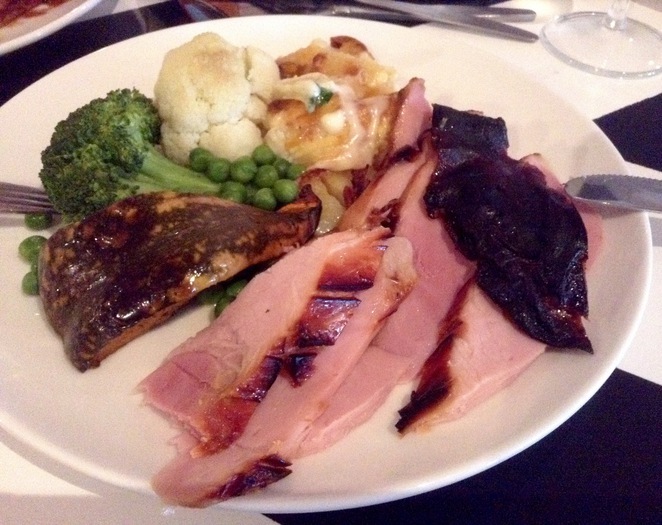 The Roast Ham was on the menu on the day of my visit and was accompanied by the vegetables you would expect. Other options, for the same price, included Beef Schnitzel and a Yellow Thai Fish Curry. The Squeeze thoroughly enjoyed his choice of BBQ Pork and veggies. Is this a little piggy? Bread rolls are an additional charge, though with the size of these meals we did not see the need. 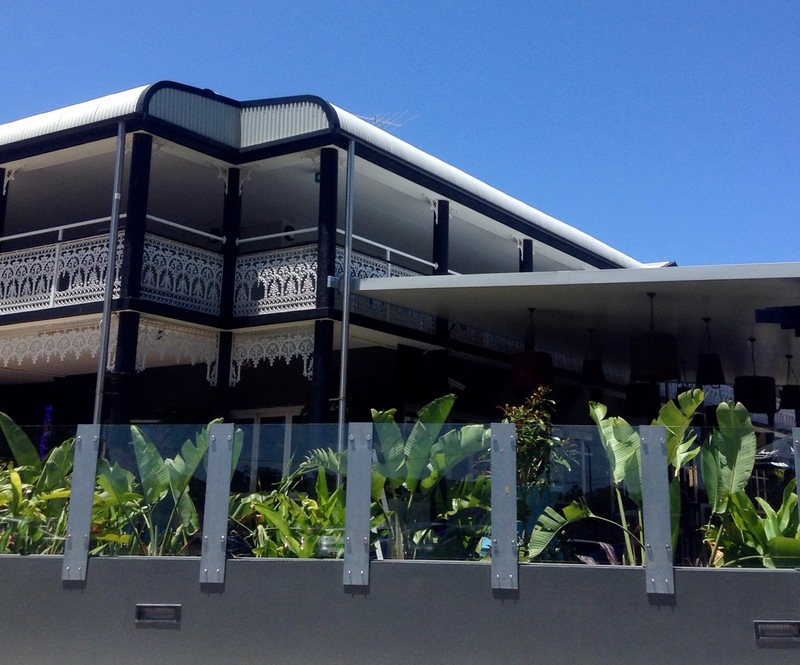 Located on the corner of Finicune Road and McDonald Road, Alexandra Hills, this very affordable lunch is well worth the effort, especially if you have been busy anywhere within the bayside area. The Alex Hotel has all the usual facilities which I am yet to investigate: beer garden, sports lounge, bottle shop, and several other bars and meals areas. I certainly don't feel guilty about not getting my own oven dirty at this price! Why? Beats cooking at this price! The menu looks very appealing and well priced cocktails as well. The link was wrong, however. It should be alexandra hills not alexandra hillwww.alexandrahillshotel.com.au.